One well-known quirk about Apple co-founder Steve Jobs was that he never had a California tag affixed to his Mercedes —something made possible through a legal loophole. California vehicle laws stipulate that anyone with a brand-new car has a maximum of six months to affix a license plate to their vehicle. This loophole was utilized by Jobs, according to ITWire, to avoid putting a plate on his car. "Jobs made an arrangement with the leasing company; he would always change cars during the sixth month of the lease, exchanging one silver Mercedes SL55 AMG for another identical one," author David Heath revealed. "At no time would he ever be in a car as old as six months, and thus there was no legal requirement to have the number plates fitted." The detail comes from a former senior security official at Apple, Jon Callas, who is currently the chief technology officer at Entrust. He explained how Jobs legally drove without a tag, dispelling rumors that Jobs would pay fines from police for not having a plate affixed. 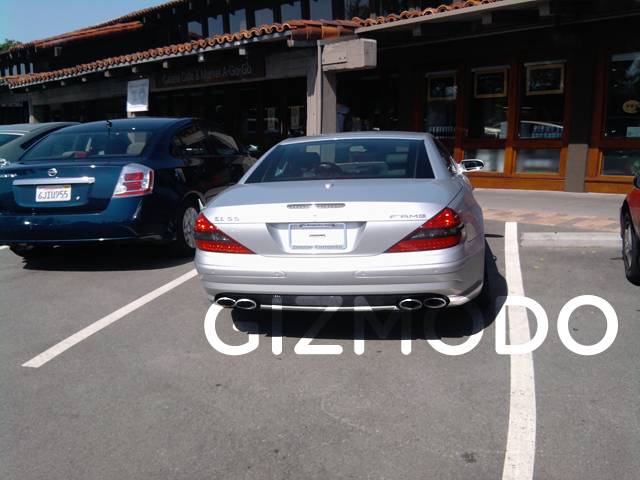 Jobs was even known to park his $130,000 Mercedes sideways into a handicapped space on Apple's corporate campus in Cupertino, Calif.
Jobs's Mercedes, as seen in 2010 without California plates. Jobs's affinity for the Mercedes-Benz SL55 AMG is said to have rubbed off on Scott Forstall, Apple's senior vice president of iOS software. A recent profile of Forstall revealed that he takes after Jobs and drives the same car his former boss did —though it did not make any mention of missing license plates on Forstall's car.